Portocork’s 1+1 technical cork consists of a body composed of cork granules treated with our proprietary “R.O.S.A.®” anti TCA curative process (steam distillation of cork granules), with a high quality natural cork disc at each end. Each natural cork disc undergoes our exclusive and patented INOS II® process which neutralizes whole cork discs and eradicates TCA and other potential off-flavors for maximum sensory performance. 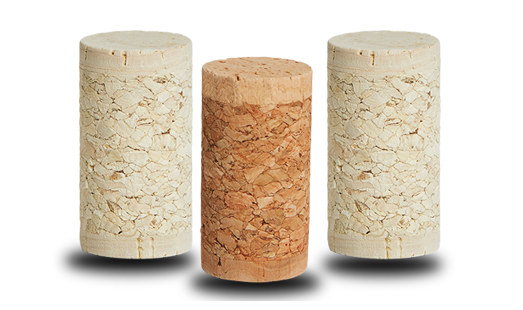 Portocork 1+1 technical corks are recommended for wines which will be consumed within 5 years of aging.